Pak Suzuki Motor Company (PSMC) is to officially introduce the brand new model Suzuki Celerio in the country by March 2017. Pak Suzuki has made the official announcement of the arrival of Celerio at the social media page Facebook. Pak Suzuki Motor Company (PSMC) is the one of the largest car manufacturers in the country to introduce the brand new Suzuki Celerio that would replace the 2000 model launched Cultus. 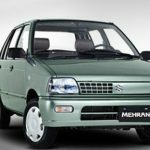 The Suzuki Cultus had replaced the Suzuki Khyber. The new Suzuki Celerio is a 1,000 CC car that will bring the end of 16 years old Cultus model. Already launched in India and Thailand the new Suzuki Celerio is an affordable 5-speed manual car look like to Suzuki Swift. All other variants of the Celerio car model will be launched from the company’s new plant, if the government consents similar incentives like the new entrants. 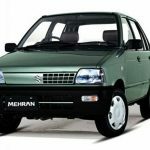 Pak Suzuki has been demanding the government to offer it with similar enticements to the ones offered to new competitors so that it creates its new Greenfield plant with an investment of over $430 million. Though, the government was apathetic until now. The new auto policy permitted by the government permits new auto-manufacturers inducements i.e. lower taxes and low-priced import rate, to attract them to begin their assembly in Pakistan. The famous South Korean car brand KIA Motors has already agreed to start their car assembly Plant in Pakistan in collaboration with Lucky Cement that is to invest Rs. 12 billion. The Celerio offers the mileage of 10 to 14 kilometers per liter, on average. It features a 1.0 liter 3-cylinder engine which goes by the name of K10B.The Suzuki Celerio is sold in different color options including Cerulean Blue, Glistening Grey, Blazing Red, Silky Silver, Pearl Artic White and Sunshine Ray. The expected price of Suzuki Celerio in Pakistan will be around Rs. 12,50000. You can follow us on Twitter, add us to your circle on Google+ or like our Facebook page to keep yourself updated on all the latest from Technology, Entertainment, Gadgets,Autos and Vehicles and Much More.